Baba Ganoush Hummus: protein packed dip made from roasted eggplant! 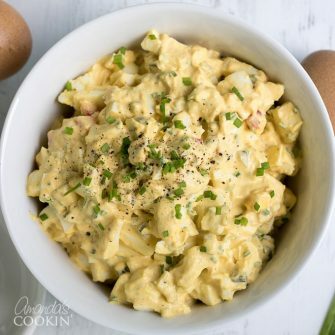 Looking for a creamy dip for your next get together? This Baba Ganoush Hummus is a hybrid between the rich and delicious eggplant dip and the classic chickpea hummus. Take it to the next level and spread this baba ganoush hummus onto this Mediterranean veggie wrap for an even better experience! You know how you can remember really distinct details about monumental moments in your life? I have that with hummus. 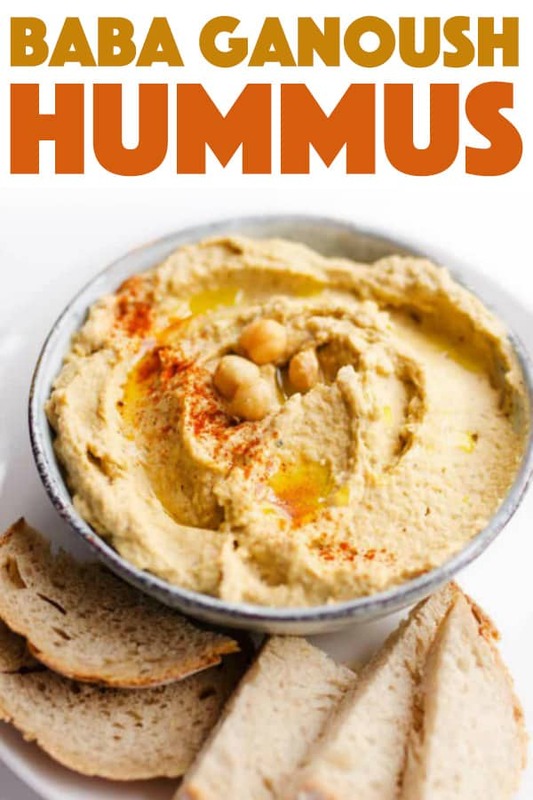 I mean, I might have tried it here and there throughout my childhood, but it wasn’t until one day in my college years that I really understood the monumental importance of hummus. 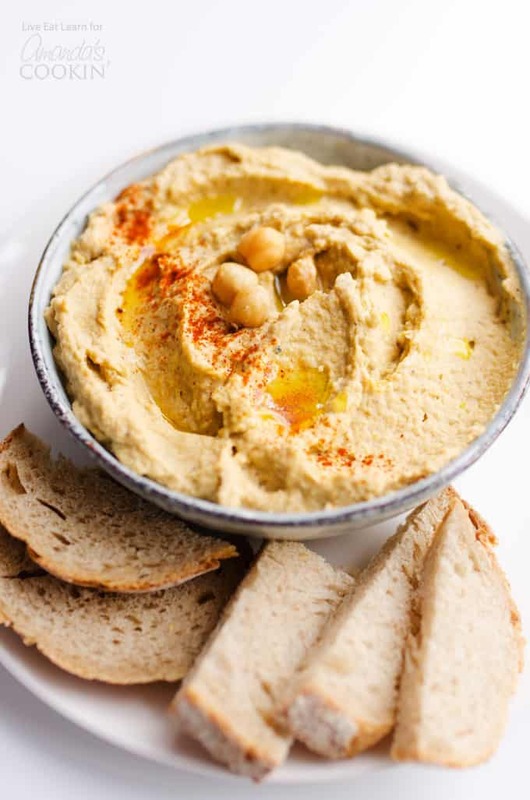 Tip: learn how to make hummus 3 different ways! Creamy, addictive, full of protein, good on everything. So you can only imagine my excitement when I realized just this year the equally monumental importance of baba ganoush, a dip made from pureeing roasted eggplants. But then the greatest discovery of them all came just recently when I had the idea to put them together in the form of…Baba Ganoush Hummus! Preheat oven to 400 degrees F. Slice eggplant into ¼ inch thick rounds and set on a parchment paper-lined baking sheet. Brush with olive oil, then bake for 20 to 30 minutes, or until soft, flipping eggplant over halfway through cooking. 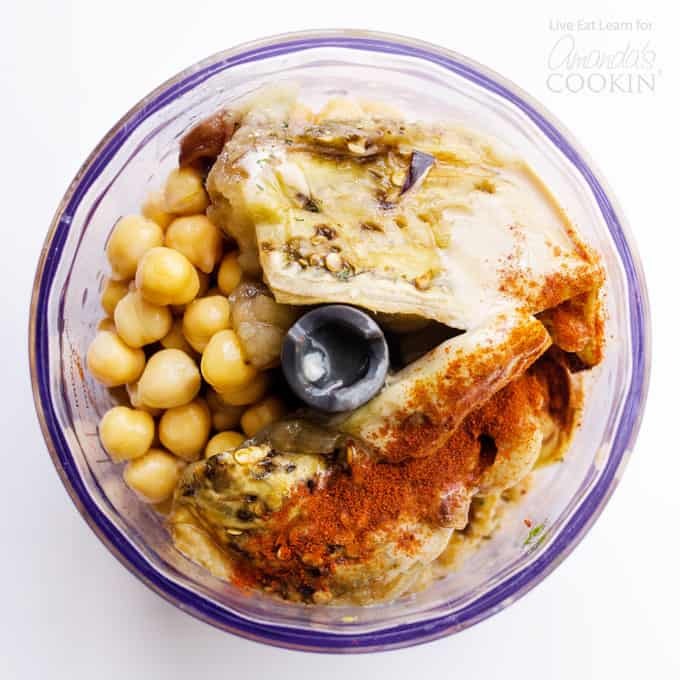 Peel away the skin of the eggplant and add the flesh to a food processor, along with the garlic, lemon, chickpeas, tahini, paprika, salt, and pepper. Puree until smooth, taste, and add more seasonings to suit your taste. 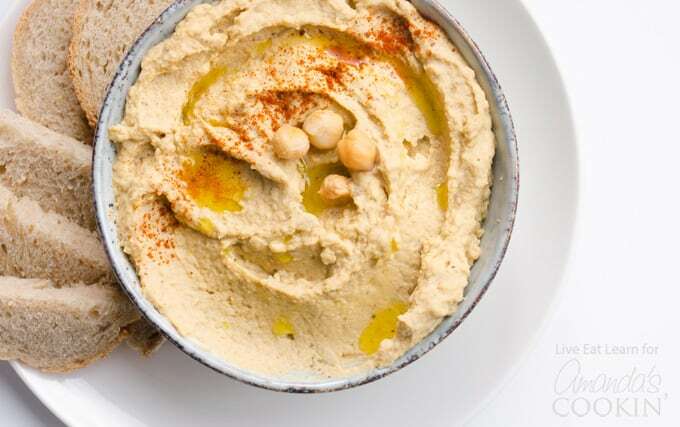 Now proceed to devour this hummus recipe with everything from pita chips to sliced veggies. Find more appetizing recipes like this chili cheese dip, a real crowd pleaser, or this garlic cheese spread recipe for your next party or gathering! 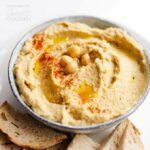 This Baba Ganoush Hummus is a hybrid between the rich and delicious eggplant dip and the classic chickpea hummus. Preheat oven to 400 degrees F. Slice eggplant into ¼ inch thick rounds and set on a parchment paper-lined baking sheet. Brush with olive oil, then bake for 20 to 30 minutes, or until soft, flipping eggplant over halfway through cooking. Peel away the skin of the eggplant and add the flesh to a food processor, along with the garlic, lemon, chickpeas, tahini, paprika, salt, and pepper. Puree until smooth, taste, and add more seasonings to suit your taste. Hi Meg! I’m actually glad you asked because after looking at the nutrition label it was calculated wrong! There’s only a little over 1 gram of protein in 2 tablespoons. What size eggplant are talking about here? Weight?